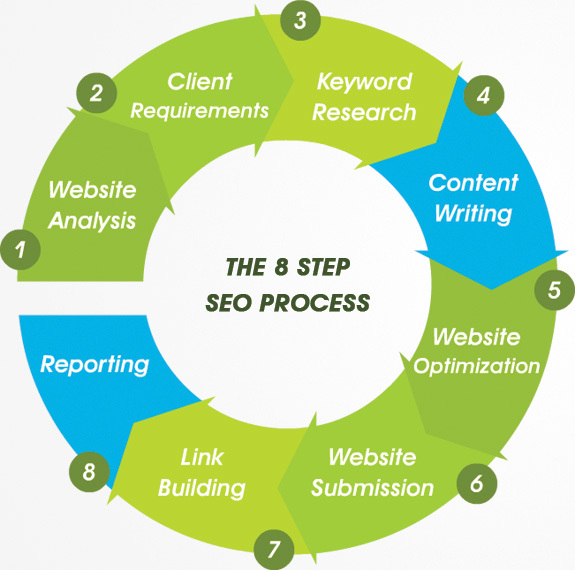 SEO is a process with which your website will rank good in search engine site with the help of some keywords. It helps increase the number of visitors to the website through search engines. It is the organic (free) search results on search engine. SEO makes your website easy to understand for search engine bots. These bots crawl your website and analyze what kind of content is present in your website. Without SEO you cannot rank good on any search engine, which will in turn not help your website to reach out to people. To get more views for free SEO is must. SEO helps the search engine to rank your website, by using some factors. I will discuss here Google’s factors only, rest of the search engine has more or less same technique. It is done on your website end. Without on-page optimization there is no use of off-page and vice versa. So both parts are equally important to rank you website better. On-page optimisation should not be overdone. You should pick top 5 keywords for your webpage and optimize only for those keywords. If you over populate your page with keywords google will unleash an over-optimization penalty. So just focus on top 5 keywords that relates to your page. If you facing difficulty in finding keywords use AdWords Keyword Tool, or other keyword tools like Keywordtool. You can search in google for various keyword tools. Here are some elements you should optimize. Title tag is the first thing that you write in your site. Which tells google about the page. It should be around 70 characters or less and try to insert relevant title to your webpage. It is inside <head> tags. This tags shows the short description of your page. It gives user and google a short idea of what type of content is present in you webpage. You should use the keywords in this description. It is the links within your website. Link building is not only a Off-page element, but you have to link pages inside your website in a systematic way. These links help Google and user to navigate through your website easily. We use a href tag to link to the pages. You need to use heading tags such as <h1>,<h2> to <h6> inside your post. The <h1></h1> tags cover the main title of the post and it is only used once in a post. Whereas <h2>,<h3>,<h4>,<h5>,<h6> are used multiple times in a post. And <h2> and <h3> covers subheading of the post. It is used in <img> tag to specify what is the image about. We all use images in our website, but we have to optimize out images with proper name and alt tags. Google recognizes the image with its name and alt tags. Alt tags are displayed when you image does not load because of slow server. If your image does not load the image space would be empty and user would see a blank area. To avoid this alt tags shows the text written in alt tags when your image does not load. Do not use bolded text too much just try to highlight the important points, for which you want the attention of your user. Google also distinguish the bolded text from the normal text. It is one of the most important elements for SEO. Content is the key to get better ranking in google. If you have unique and regular updated content, your website will defiantly will be prefered by the google. You don’t read the same and old boring content or you don’t visit a site which do not update good quality content on a regular basis. So google does not want that kind of site to be on a higher rank. It is basically link building. And it is one of the most talked topic in SEO. Link building is just getting links for your website from other sources. There are 3 types of links and link building techniques. For more tips visit this site Neilpatel. Also you can use this link they have given some detailed steps for link building. Also read this article where you can find 1500+ Quality Blogs That Accept Guest Posts. https://semscoop.com is a smart out of the box keyword research and serp analysis tool for digital marketers, bloggers, and small businesses who are interested in improving their site’s overall ranking. It can help find true ranking opportunities & low SEO difficulty terms to create smart and competitive contents.